A few months ago, I received the sweetest thank you ever. Whenever I get inquiries from people looking for a job as my assistant photographer, I always take the time to reply. I’m blunt and honest about the difficulty in making a living as a photographer, especially in Vancouver, where the outrageous cost of living is a massive obstacle in so many elements of my job. I then give them some suggestions as to other possibilities they might want to look into for at least part-time or contract photography work. Then I sincerely wish them good luck. “My English is not very good. And I am so sorry about that. I think you will find a lot of mistakes in my writing. I don’t really know how can I appreciate you for this precise, complete , useful and very comprehensive explanations you sent me in a kind way with high amount of care which is very specific and also rare among nowadays’ people. You favored a lot to me and I acknowledge you and also encourage you to continue this generous manner to others and don’t give it up at all. Because, the world needs humans like you and noble people cannot be found easily. Thanks a lot for your kindness, I wish the best for you and all people who are gentle like you and behave and treat like you. – Me again. That last sentence resonated so beautifully in my heart. I’ve been saying it to myself often. I’m sharing this with you now, because it’s a really lovely example of the power of kindness reciprocated. It’s wedding season again… So here are a few of my all-time favourite shots of some of the beautiful brides I’ve been lucky enough to photograph. An outstanding Canadian online dating assistant. If you’re looking to hire an online dating assistant service in Canada, and you want good advice from people who know what they’re talking about, I highly recommend getting in touch with ‘As You Wish’. What is it? ‘As You Wish’ is a service with a certified life coach, a professional photographer and a professional editor, who work together to give Canadians actual expert advice when it comes to online dating. The best choices for dating behavior, choosing the right online dating photos, and the right way to write your dating profile, etc. And now I want to tell you what prompted me to write this post… Every year, I have dozens of photography clients who’ve either hired a dating consultant, or who’ve been looking for someone qualified to help them improve or create their online dating profile(s). My clients who’ve hired an online dating consultant or assistant service, usually send me the information they’ve been given regarding their photos. Generally, the instructions/info my clients receive has obviously not been written by anyone who has even a clue about fashion, or styling or how professional photography is done. It often has grammatical and punctuation errors. Which really isn’t something you want in a service that’s supposed to help you present yourself well. Anyway, reading those photo-instructions given to my clients, is how I started noticing that most dating coaches and consultants are not based in Canada. Most of them are based in the U.S. While there’s nothing wrong with that, I was surprised at how few Canadian online dating assistant services there are. I don’t know about you, but when I’m paying someone to provide me with a service, I want to be sure that I’ve hired someone who has professional experience and knows what they’re doing. Most – in fact almost all – of these dating coach/assistant services seem to be people with no pertinent experience or qualifications. They’re presenting themselves as dating experts, when really, all they’re doing is giving their own personal opinions, and charging quite a lot of money for doing so. Those prices are even more expensive when factoring in the exchange rate if you’re a Canadian hiring someone outside of Canada. But after diligent (and to be honest, increasingly unimpressed) searching, I did find one really great service that fit my criteria. 1: Canadian owned and operated. 2: Run by people who are professionals, qualified to give appropriate dating help/advice. 3: Reasonably priced. Which is why I’m writing this post to suggest using ‘As You Wish’ if you’re looking to hire an online dating assistant service. They’re fairly new, but their services and prices are exactly what I’ve been looking for to recommend to my photography clients. And on a personal note, I contacted them to ask their permission to use their logo in this post. I explained what I was writing about and why. I was pleased by how quickly they got back to me, and by how friendly and polite they were. Although I hadn’t been looking for any sort of exchange with them, I even agreed to be included in their list of photographers across Canada. If you’ve read any of my other blog posts, you’ll know that I’m extremely particular about endorsing or being associated with anything unless I completely support it. Check if they have any typos, spelling mistakes, punctuation or grammatical errors on their websites or in their emails. Look for high quality, contemporary web-design and high quality, contemporary images and photos on their websites. Read their ‘about’ pages and look for professional experience in writing, editing, photography/arts/fashion/styling, and counseling or coaching. Pay attention to their overall tone on their websites and in their emails. Well written, polite professionalism is an important factor. Make sure they have a clearly stated policy about protecting your privacy and about what they do with your information. Why is it crucial that you invest in professional, appealing corporate headshots? Why shouldn’t you just get a friend or employee to take some quick pictures for you? Why shouldn’t you continue to use the professional photos you had taken eight years ago? Because the internet is your first chance to make a good impression. And that impression really matters. I recently had 20 clients and friends do a small experiment. I sent them links to three websites with great corporate headshots, and links to three websites with really awful corporate headshots. I didn’t tell them which was which, just asked them to write down the words that best described their impressions of the photos from each site. That simple little exercise defines exactly why the photos you choose to represent yourself and your business are so very important. They can be a key factor in generating new clients or new work. And they can be a key factor in turning people away. When considering which professional photographer to hire, remember this… Business photos are tax-deductible, so don’t let price be an issue. Choose a pro whose portfolio, personality and photography style, is a good match for the tone, style and branding of your business. Good, professional corporate headshots are an investment in your own success. That’s why they’re important and that’s why they’re worth the time and money to do well. Have you wondered how to make sure your online dating profile stands out from the crowd and attracts the type of interest you want? 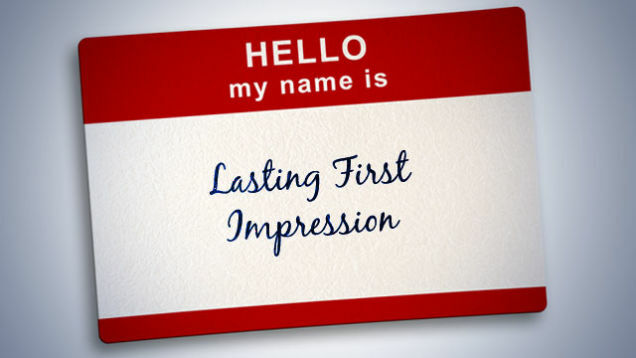 Although the written part of your profile is important, the first thing people see is your picture. Which is why the best and most effective thing you can do, is to use really great photos of yourself. WHAT KINDS OF ONLINE DATING PHOTOS GET THE RESULTS YOU WANT? According to dating experts (I’ll link to some of their articles at the bottom of this post), your absolute best bet is to use high quality photos where you look comfortable, happy and natural. A smiling photo. A picture of you with a smile that’s clearly genuine, is the most attractive photo you can use. It doesn’t have to be a big, toothy grin, what matters is that your smile shows in your eyes. It’s simple human nature, that real smiles automatically create a positive response. A flattering hips/waist up photo. People want to see your body shape and type. Use a picture where your body language is relaxed and confident. A candid, personality photo. Something that shows you being yourself and/or displays something you’re interested in. An outdoor photo. Natural light is the most flattering, and outdoor backgrounds are generally more interesting and visually appealing. TO MEET A GREAT PERSON, USE GREAT PHOTOS. Online dating experts and match-makers will all tell you the same thing. If you want attractive, intelligent, confident people to be impressed and intrigued by your online profile, the best choice of all, is to hire a professional photographer who specializes in online dating photos. To find a photographer in your area who specializes in online dating photos, simply do a search term for the phrase ‘Online dating photographer’ and the name of your city or town. While viewing their portfolios/photo galleries, look for pictures where people look natural, happy and comfortable. The investment in a professional photographer is so worth it. By using quality photos for your dating profiles, you’ll find that you very quickly start getting much better results, and a lot more of them.